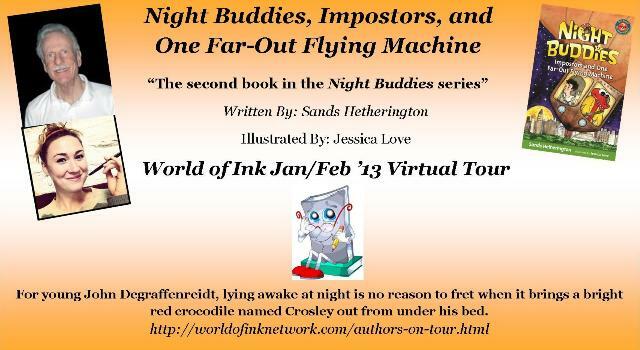 Today the World of Ink tour brings us our guest, illustrator, Jessica Love, here to talk about her collaboration with author Sands Hetherington in Night Buddies, Impostors, and One Far-Out Flying Machine. Jessica: I think it will appeal to 8-10 year olds. Jessica: I grew up in the woods, in the middle of the Los Padres National Forest, in Southern California. I was happiest playing imagination games by myself, or drawing. 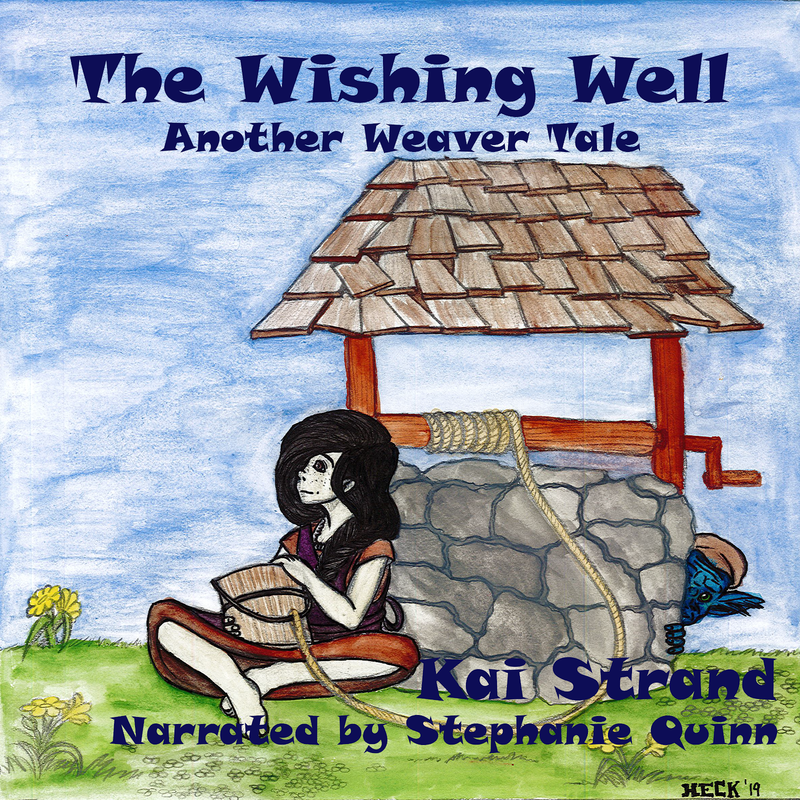 I would sit in my room for hours and hours, illustrating these stories that I would narrate to myself as I drew them. I had a penchant for melodramatic, sweeping tales, and I would often work myself into hysterical tears as my epic tales would reach their apotheosis. I think at the time my dad was reading me The Lord of the Rings, and so it was important for all the stories to be incredibly high stakes. But I actually don't think that's unusual. Make believe, when you're a kid, is absolutely life or death. Jessica: Technology is the obvious answer, I think. I suppose it's simplistic to say it's dulling imaginations, because I don't actually know whether or not that's true, as I don't have kids of my own yet who are within that age range. But I know that the way technology functions in my own life, and I see that there is something so totally absorbing about playing with an iPhone app that holds your focus in a vice-grip without really asking anything of you that is worrisome. I might just be a luddite, but I think the thing that strikes me as dangerous about it is the way it allows people to completely check out of the world around them---walking across the street while texting is the obvious danger, but I think there is a subtler price being paid as well. Kai: Finally, I have four kids. Over the years, they’ve attended a lot of birthday parties. I love the idea of building a theme gift around a book. If you were to give a gift basket to a child based on your book, what else would be in the basket besides Night Buddies, Impostors, and One Far-Out Flying Machine? Jessica: I think it would contain gadgets having to do with spying, adventuring, and night adventures: a flashlight, a magnifying glass, a skeleton key, a laser pointer, binoculars---tools of the midnight kid-detective. Kai: Sounds like lots of fun! 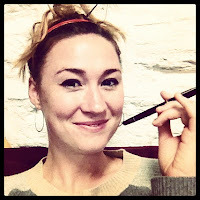 Thank you, Jessica, for visiting with us today. For young John Degraffenreidt, lying awake at night is no reason to fret when it brings a bright red crocodile named Crosley out from under his bed. Night Buddies like Crosley promise a big adventure to any kid not sleepy yet--and tonight is no different! Out of bed, and into the city, John starts on a very special Program (Night-Buddies-speak for adventure) with his crocodile friend. Crosley is a unique, wacky character, the only red crocodile in the world for sure, but look-alikes have started popping up all over town, committing crimes, causing confusion, and making Crosley crazy at the sight of them. 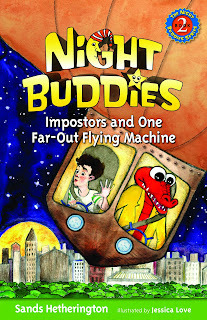 The imposters must be stopped, and Night Buddies John and Crosley are just the ones to stop them! Stakeouts and wild chases in a fantastic flying machine, far-out schemes to snare the imposters with the help of old friends and new ones, and a never-ending supply of Crusted Crème Fro-Madge frozen yogurt make for one totally super night. drawing at UC Santa Cruz, then went to study acting at The Juilliard School in NYC. work as an actor and her work as an artist. 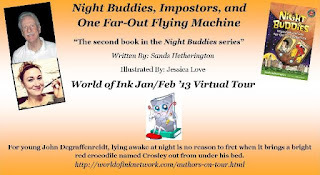 Thank you for hosting and interviewing Jessica Love the Illustrator or the after lights out adventure series...Night Buddies. The pleasure is mine! She's a fun guest to host.